1. To begin, turn the phone off by holding the power button at the top and confirming the shutdown on-screen. 2. Using an Apple approved sim removal tool pop open the sim tray and set it aside. 3. 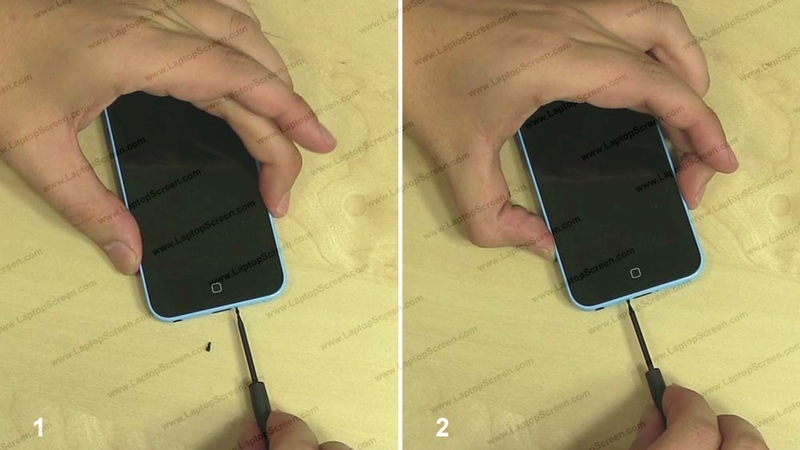 Remove two pentalobe screws near the lightning port. 6. Pick open the bottom edge of the display assembly and open it like a clam-shell. 6. Display assembly connectors are located under a metal shield which is secured with four phillips screws. 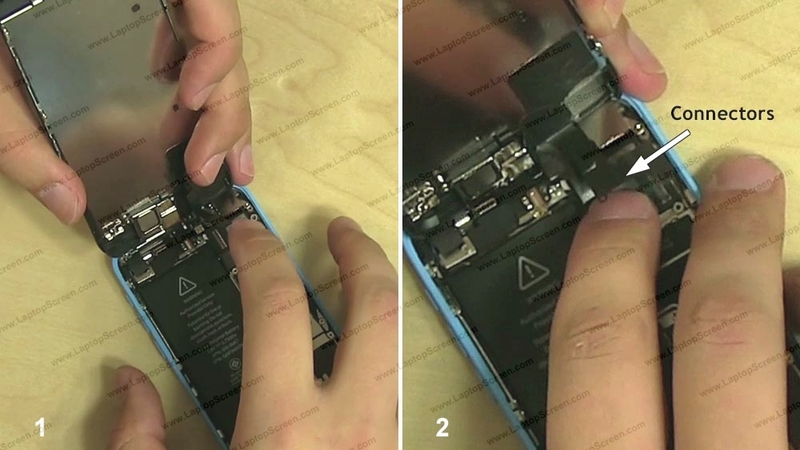 Remove the screws while supporting the display assembly at a right angle to the logic board. 6. 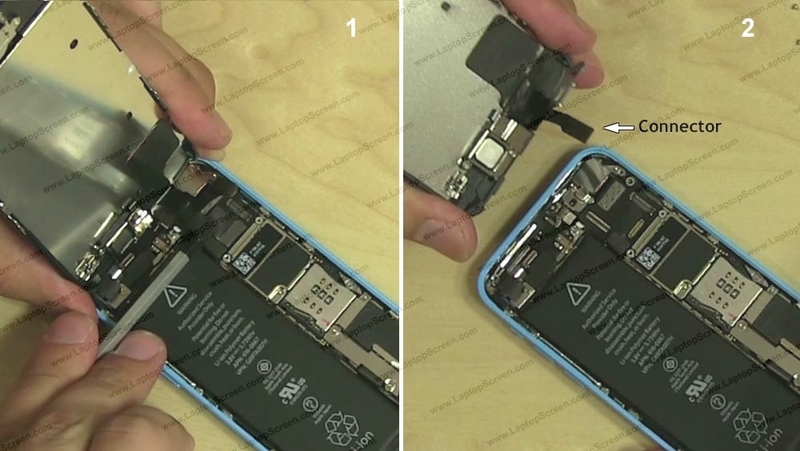 Using a pick or a flat screwdriver gently separate three small connectors from the logic board. Lift the display assembly away from the body and lay it down. 6. Depending on your replacement part, some extra components need to be salvaged from the original assembly. 6. 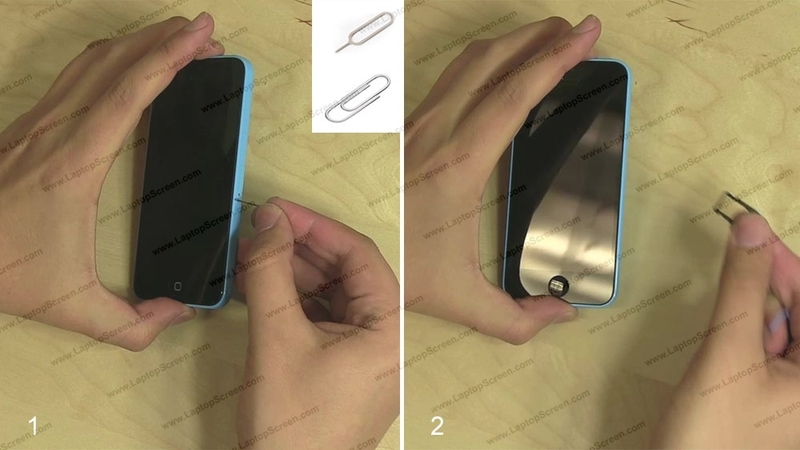 The home button is mounted with two phillips screws and a metal shield, as well as some glue. It may need to be transferred to the new part. 6. 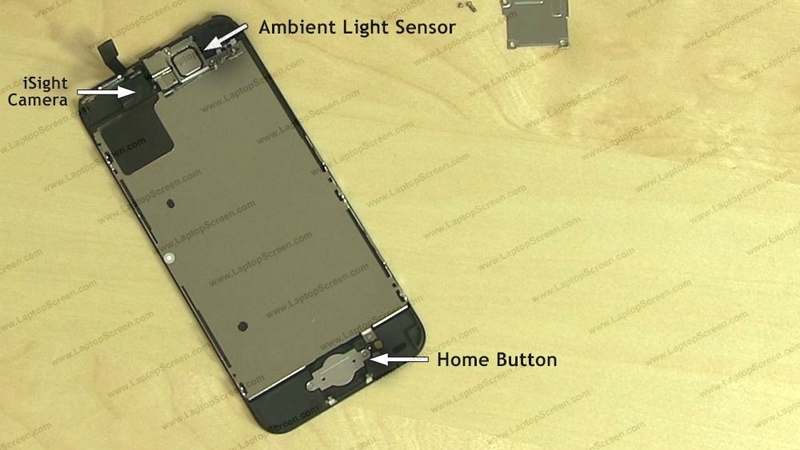 The webcam and the ambient light sensor at the top of the display assembly may also need to be transferred. They are secured with two phillips screws and a metal bracket which can be popped open with a screw driver. 6. 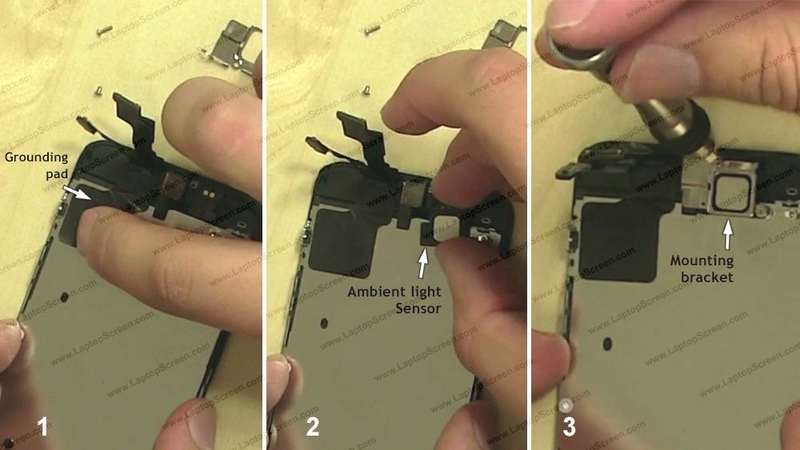 The ambient light sensor comes out easily, while the iSight camera is glued in and will require some patience to separate. 6. Once the camera has been transferred onto the new part, secure the grounding pad and replace the ambient light sensor. Snap in the mounting bracket and replace two phillips screws. 6. Position the display assembly at a right angle to the body and align at the top edge. Gently snap in three small connectors to the logic board, they will make a distinct click when aligned and plugged in properly. Connectors are extremely fragile, make sure to align them well and do not apply too much force. 6. 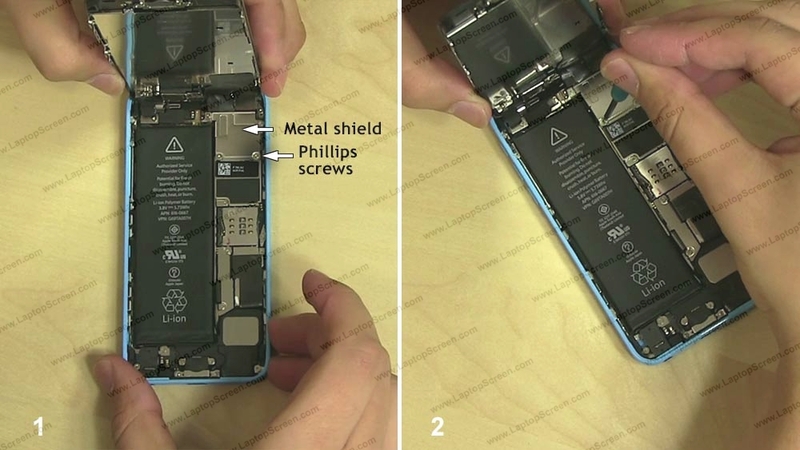 Replace the metal shield and secure it with four phillips screws, the longer screw goes in the top right corner. 6. 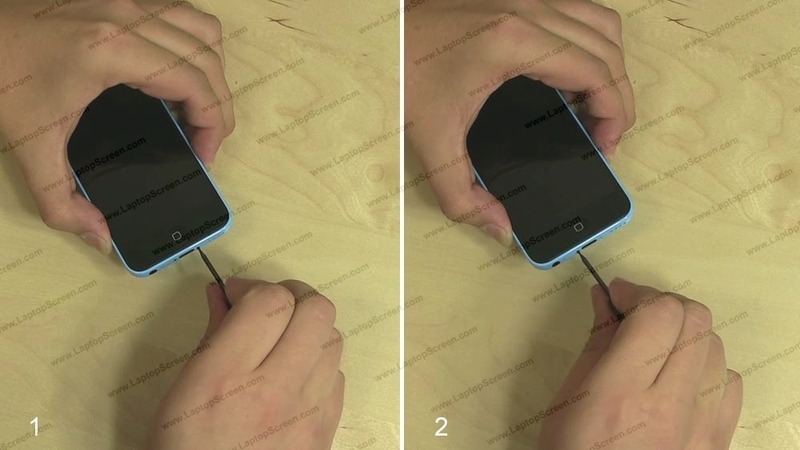 Lay the display assembly down and turn the phone on for a test. If the start up graphics appear the part is installed correctly. 6. Hold the power button down and confirm the shutdown on-screen. 6. Snap the display assembly into the case by gently squeezing around the perimeter until it clicks in-place. 6. 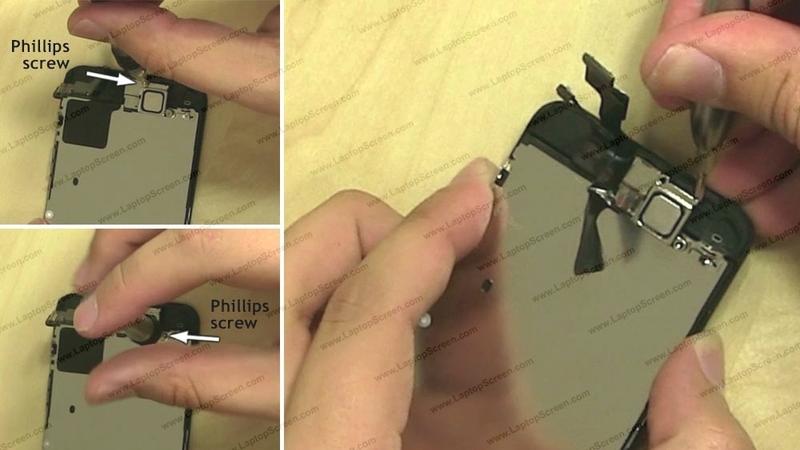 Replace two pentalobe screws at the lightning port. 6. 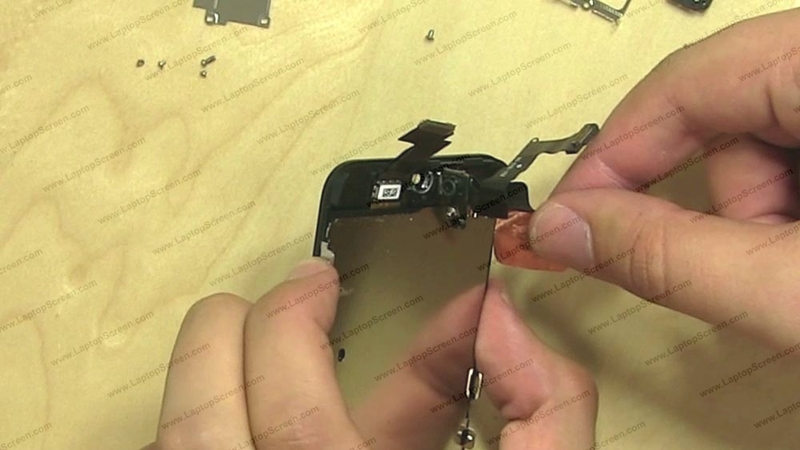 Replace the sim card and tray.